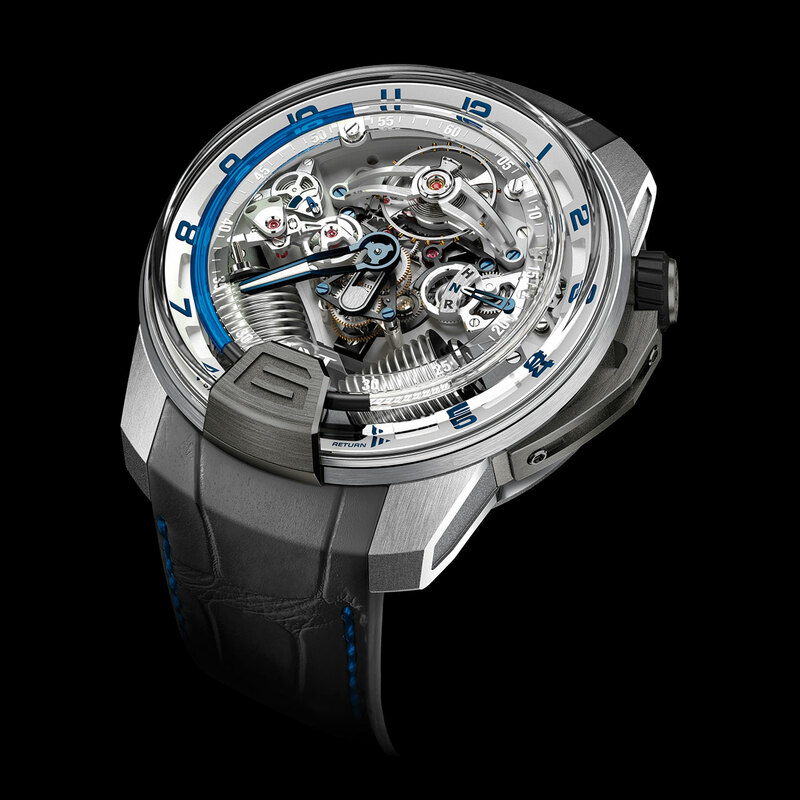 HYT continues its quest for hybridisation, this time with a blue liquid that interacts with the mechanical movement through an interface of two bellows in a "V" arrangement. The central minute hand has a layered construction to run alongside the fluid system and sweep the bellows by making a jump after 30 minutes. The crown-position indicator ("H-N-R") at 3 o'clock is balanced by another hand corresponding to a temperature indicator. This exclusive HYT innovation tells the wearer when the liquid is at the optimal temperature to adjust the watch. Limited series of 20.